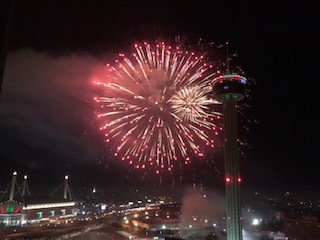 WoW...this past New Years Eve we stayed downtown at the Grand Hyatt San Antonio and upgraded to a view of the Tower of Americas - it was well worth it. The view of the fireworks was fantastic, San Antonio put on a good show and we had a front row seat. Definitely recommend if considering or looking for something different / cool to do in the San Antonio area for New Years one year, the fireworks went on for a solid 10-15 minutes plus you had a panoramic view of the entire city of San Antonio and could see fireworks going off for miles across the city for about an hour, very cool! 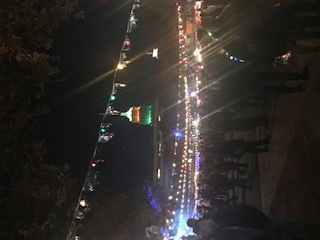 If not familiar with San Antonio they put on an event downtown near Hemisfair Park, The Tower of Americas, Riverwalk and La Villita. 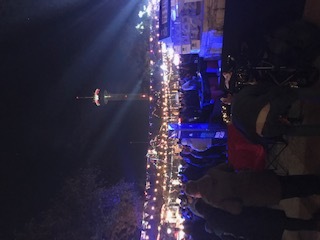 There is music, food and all kinds of festivities as every one awaits the New Years Eve count down which is dropped from the top of the Tower of Americas followed by a fireworks show. If you live in the San Antonio area you have probably seen Randy Beamer and the WOAI news team (News 4 San Antonio) broadcast from there, this is the spot see on TV. There are plenty of great spots or restaurants to have a nice dinner or grab drinks before. 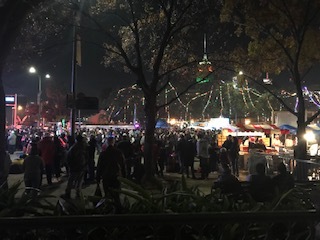 We went down to the festivities for a bit around 9:30PM to walk and get a feel for the holiday vibe, grabbed a chicken on the stick. We also rode some of those downtown scooters that you see every where now and it was pretty fun actually zipping around. We left around 10:30PM as the crowd started to pick up, it definitely gets busier as the New Years Eve count down gets closer and fireworks near but wasn't too bad while we were there but got out before too hectic as could feel it growing plus wanted to see the fire works from our private window view at the Grand Hyatt. On way back we went down to the Riverwalk for a bit to check it out since it was right there. Overall a great experience would do again...the fireworks and view were absolutely fantastic!! 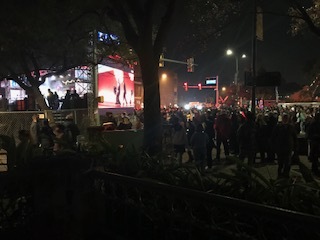 It was a great set up since could get a little experience with the downtown festivities going on for New Years but not have to deal with the huge crowd for the actual count down and fireworks while enjoying it from our room since it was just a short walk / scooter ride away. Two thumbs up score! This was for New Years 2018 - 2019.